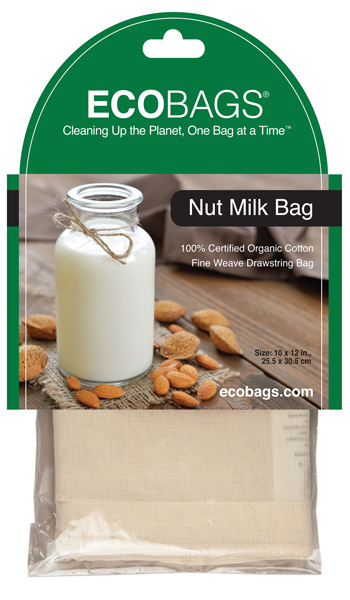 Make your own nut milk with a 100% GOTS certified organic cotton straining bag. What could be healthier or more cost effective? The cotton is food grade (no bleach or additives), washable & reusable. The fine weave allows the milk to strain easily. The drawstring is for convenience, allowing you to close and hang the bag.